My friend Nick Flora is an alterna-pop singer/songwriter out of Nashville, TN. Flora has been writing songs and touring full time for close to a decade. His debut solo record Great Escape (2009) and the follow-up Hello Stranger (2011) are both prime examples of Flora’s grasp of dynamics, heart, and humor. 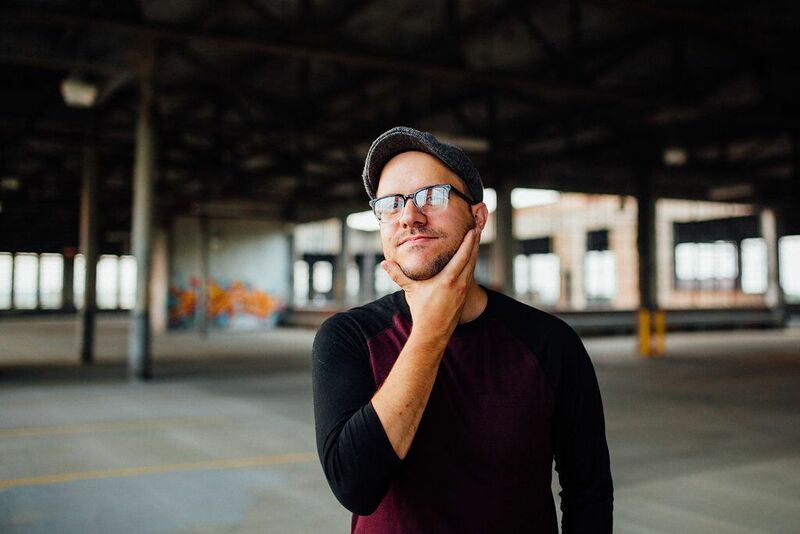 His latest release The Reintroduction Of Nick Flora boasts a bold step forward and as fellow musician and frequent collaborator Stacy Lantz put it is “full of anthems, stories, heartache, and of course, wit.” To check out his music, click here. Nick and I became friends over a year ago because as we all know, I appreciate funny people, and Nick’s tweets are some of the funniest around. (I’ll wait here while you go follow him.) He was writing his third album while I was tackling book edits, and we bonded while sharing stories about our processes. Songwriting has always been something of a mystery to me–I can barely write a short story; I have no idea how someone makes a point in a 3-5 minute song–and Nick was nice enough to take the time to answer some of my questions about songwriting. Enjoy! Where do you get your ideas? Do you choose the topic or does it choose you? I’d say both. Sometimes I have an idea or something that keeps popping into my brain and I’ll try and tackle it. But sometimes I’ll just sit down and something that’s been hiding in my subconscious will emerge unannounced and almost write itself. I can plan all I want to write specific things but the best songs are often the ones that your brain was working on when you weren’t aware. It’s magic! When you’re writing a song, are you thinking about the listener or are you writing what you need to get out personally? Does knowing that other people are going to listen affect your process at all? I try to accomplish multiple things when I write. I do think about who’s gonna hear it and if someone else can relate, and that makes me work harder to make sure it’s as honest and true to my original vision as possible. Weirdly, it’s often the stuff that’s so personal and I don’t think anyone will relate to but me that becomes the most relatable and most-often requested songs. Which is great encouragement to always write what matters to me and what’s personal. I know The Reintroduction had a theme–reintroducing people to your style as it’s evolved since the last album. Do you generally have themes in mind when you’re putting together an album? Usually, yes. But sometimes the theme reveals itself later. Or I try to make the theme broad enough so I’m not writing with my metaphorical “hand tied behind my back.” With The Reintroduction, I wanted to write about certain themes such as starting over again, not being defined by ones past, and moving forward when you are your own worst enemy, among others. Fortunately these are things I come face-to-face with on a regular basis these days so it wasn’t hard to mine for experience when writing. At what point do you know a song is “ready” and make yourself move on to the next song? That’s a tough one. And the least scientific answer I have: you just know. Over time when writing you figure out by listening to your musical gut that you’ve said everything that needs to be said with the song. When I started out, my songs were 4-5 min long and pretty boring. But that’s ok! Because over time I figured out that I can say the same thing with the same emotional punches and get the same points across in a 2 min song, if I do it well. Why say something with 3 verses, if you can say it with 2? It’s a game for me, like cleaning out the clutter to get to the good stuff. It’s also important to remind yourself that there will be other songs to write. So if this one doesn’t nail what you’re trying to say, maybe the next one will. Pick one or two favorites of all the songs you’ve written, and tell me about them. Why are you so fond of them? “Lost At Sea” from The Reintroduction mainly because it’s just a story told start to finish, but to write it, Andrew Osenga (my producer/co-writer) and I had to write the story out in every detail and decide which parts to extract and highlight in the song. We wanted to make sure and tell the story but at the same time evoke emotion and understanding even if you don’t know the story in it’s entirety. It’s really hard to do but really fun when it works. So it needed to work for those “in the know” and for the uninitiated. And I think we did it. Also my song “Tired Of Me” is one I’m really proud of. I wanted to write a song that was a conversation back and forth with a couple that’s at the beginning stages of their relationship. The guy is an “Eeyore” type who can’t help but point out how he’s gonna inevitably screw up the relationship, and the girl believes that greatness is in store for them if they’ll just put that stuff behind them and walk forward together. My friend Stacy Lantz plays the girl in the song and it was fun to write from opposing points of view especially in some parts of the song when the two are saying differing things but are actually in harmony with each other. Quite literally. What/Who are some of your musical influences? I love anyone who writes from specific or rarely spoken points of view. I’ve listened to 1000s of hours of music so anyone who can bend my brain with a viewpoint I hadn’t heard from or considered before is my favorite. Songwriters that do that consistently are Ben Folds and Randy Newman. Others that I find myself trying to be more like are Jon Foreman, Brandon Flowers, Arthur Alligood, Andrew Osenga, etc. What’s been the proudest moment of your career up to this point? That’s a tricky question. Every time I make an album and it simultaneously meets and exceeds my goals for it, I’m proud. I always set out to make the best album that’s in me in that moment, and if I accomplish that then I’m about as proud as I can be. Do you have advice for someone who wants to become a songwriter? Find your specific voice and own it. The world already has a Mumford & Sons, a Paul Simon, and a Jason Isbell. What it needs is a YOU. Interested in the humor that makes Nick and I friends? Check out this post for the first set of ridiculous answers he sent me to these questions!